Congress’s progress on its 12 annual spending bills for fiscal 2019 means “we’re in pretty good shape ” for funding federal agencies, David Berteau, president and CEO of the 400-member Professional Services Council, told his contractor members in a webinar on Wednesday. Federal employees, Chvotkin added, “even senior ones, are likely to have no insight,” since everyone is waiting for guidance from the Office of Management and Budget. The notice to agencies to begin preparations usually comes about a week before a potential lapse in appropriations, he said, referring members to the existing contingency plans each agency files with OMB. Once OMB sends an actual directive to shut down operations—absent a continuing resolution from Congress to give itself more time to agree on spending levels—much of the government’s activity stops. The exceptions are “sovereign acts” to protect safety of people or public property (which don’t involve contractors, Chovtkin said), plus presidential core duties, activities funded through multi-year authority and revolving funds, such as the Modernizing Government Technology Act fund. The Congressional Budget Office in July sent the House Budget Committee a breakdown of which funds of interest are affected based on previous data, Berteau noted. About 51 percent of the budget is discretionary, the rest remaining spendable under multi-year authority and “no year funds” that don’t expire. Under most contracts, a shutdown precludes the authority to do the work, and limited resources hinder a company’s ability to offset the impact, Berteau said. But “a contract validly entered into before a lapse of funding for which the funding [came] prior to the lapse is allowed to continue—unless it requires a government employee who is unavailable or access to shuttered government facilities,” PSC said. The “triggering event” for contractors is a stop-work order from an agency (the Federal Acquisition Regulation says it can’t last longer than 90 days). “If you are not directed by the government to stop, you must continue to perform,” PSC advised. But companies receiving a stop-work order must enforce it with vendors and subcontractors. Agency employees, including contracting officers, under a shutdown are usually not available to approve payments, accept delivery or provide access to a federal facility, particularly one in a classified setting, PSC noted. A contractor could continue on a “nonseverable” contract, such as a study due in six months, but not on “severable” work such as facility maintenance. “Award dates might slip,” Chvotkin said, option periods can expire; bid submission dates may change; and orders under indefinite delivery, indefinite quality contracts can be delayed. An appropriations lapse means no new awards for programs, the effects of which vary a bit by type of contract, Chvotkin said. Most contractor employees, during a shutdown, must simply stay home, and any work done is at risk of the company not being reimbursed. To mitigate costs and maintain cash flow, companies are advised to assign staff work on other revenue-producing contracts, training or vacation. The last option is furloughs, Chvotkin said. Companies with employees on standby for a federal contract don’t usually take on additional work. Companies are advised to pay attention to the state and federal Worker Adjustment and Retraining Notice laws requiring notice of layoffs to the workforce, and their union contracts. 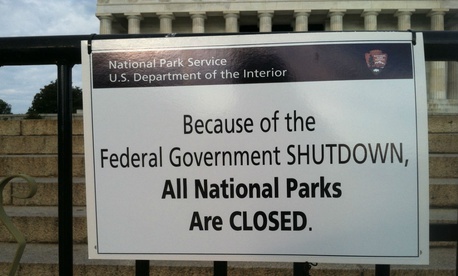 They should track all their expenses traceable to the shutdown and submit claims to the government within 30 days after the agencies reopen.